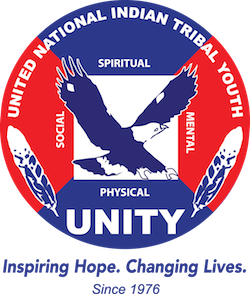 25 Under 25 At 2018 ILEAD Youth Summit – UNITY, Inc.
“The youth summit was awesome!” said Tatiana Ticknor, Dena’ina/Tlingit from Anchorage, Alaska. In months leading up to the Youth Summit, former UNITY Earth Ambassador and UNITY 25 Under 25 class of 2016 Ticknor served on the Youth Committee planning Board to help ensure the event’s success. The theme for the Youth Summit 2018 was “Resilient Generation” and inspiration for Alaskan Native and Native Youth the opportunity to learn and grow together. The Summit focused on cultural protective factors that help keep youth from risky behaviors by seeing their communities as a source of strength and resiliency in the face of adversity. 2018 ILEAD Conference Cultural Night in Missoula, MT! Current 25 Under 25 awardee Maritza Nuglene-Gomez, 18, Inupiat, Alaska, joined Tatiana in their cultural performance along with other Alaska Native Heritage Center representatives. Tatiana shared how she was instrumental in securing speaker, performer Samuel Johns to attend the Summit from Alaska. “I am inspired by his work to help Alaskan homeless and opportunity to get off the streets and send them back to their traditional villages” Tatiana reflected. “He is more than a rapper, but a change maker using social media as his platform for our people.” Tatiana also shared that her “most meaningful moments were time spent in small groups and talking circles with other youth.” She shared how there was a focus on how to overcome stressful situations and crucial trainings provided on how to help someone who is depressed or withdrawn. “I believe those trainings will be most helpful on how to reach those who may not have the tools to engage or receive help” Tatiana said.